Thank you for your interest. I have always said, “know your jewelry but if you know your jeweler, you are twice better off”. 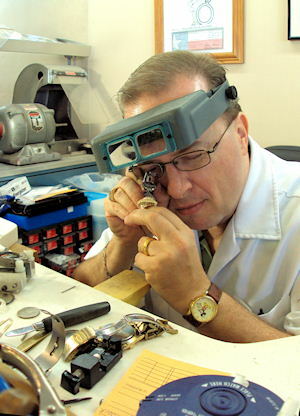 My name is Stephen Hale, I have been in jewelry industry for over 25 years, mostly working for other businesses. I am a graduate of Gemological Science in 2002 from The Texas Institute of Jewelry Technology (TIJT) Paris, Texas. In the same year, I became a Board Certified Bench Jeweler (CBJ) by the Jewelers of America. I was recognized as the 18th bench jeweler in Texas, and the 74th nationwide, to ever receive this distinction. I started my own business in October of 2002. We were first located at 4106 Sherwood Way. It was a small shop with only 4 showcases to show jewelry and a very small floor space for everyone to be waiting on their repairs. Thanks to all our customers for their loyalty and support, we moved in June of 2008 to a much bigger store and better location at 2211 West Beauregard Ave. (Village Shopping Center). Our store is truly God sent. We have worked hard to get where we are, but without His help and our customers we would not be where we are today. We are Christians under one roof that take pride in helping our customers with their needs. 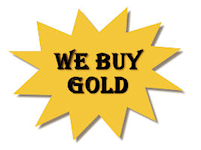 We are members of Jewelers of America, Texas Jewelers Association and the Better Business Bureau. Our business takes a strong interest in helping charities and organizations in our community. Thank you again for your interest and please come by to our store location in the Village Shopping Center. We would love to be of service to you and become one of our valued customers.